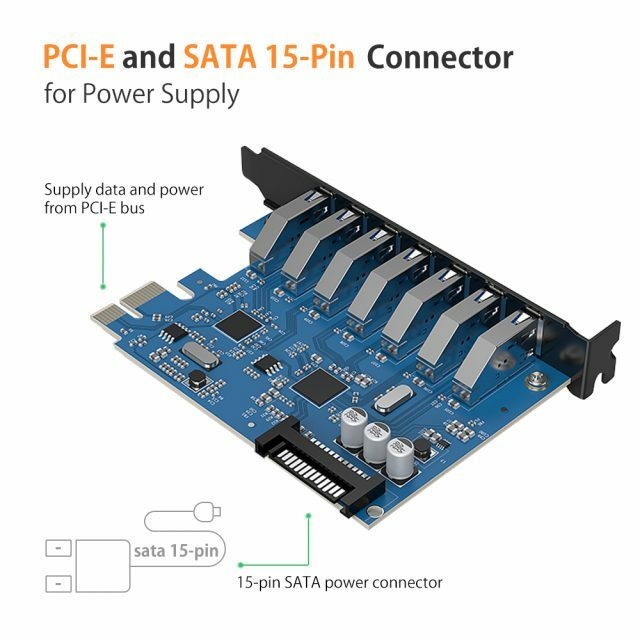 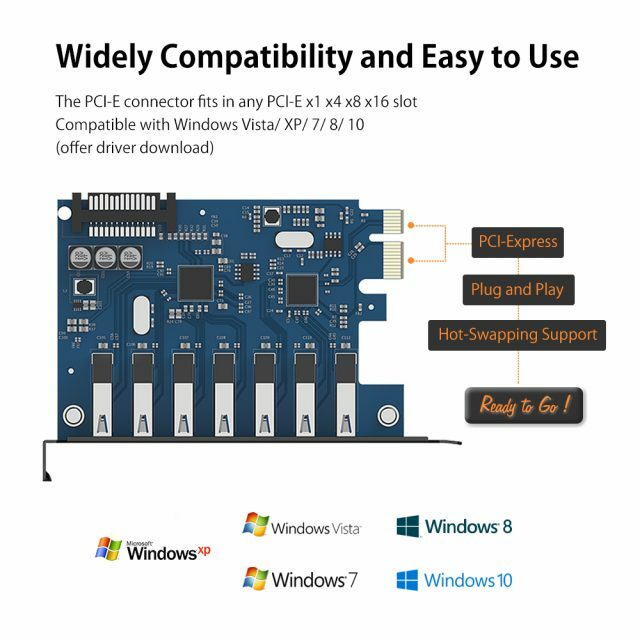 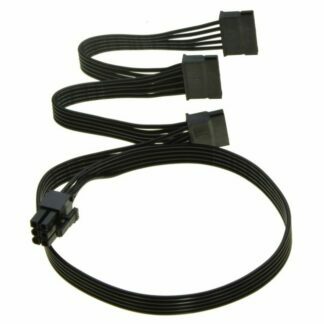 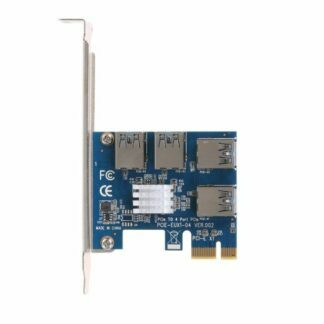 PCI Express Card to USB3.0 Controller Adapter offers a simple solution for adding seven downstream USB3.0 ports for your computer via PCI Express Card. 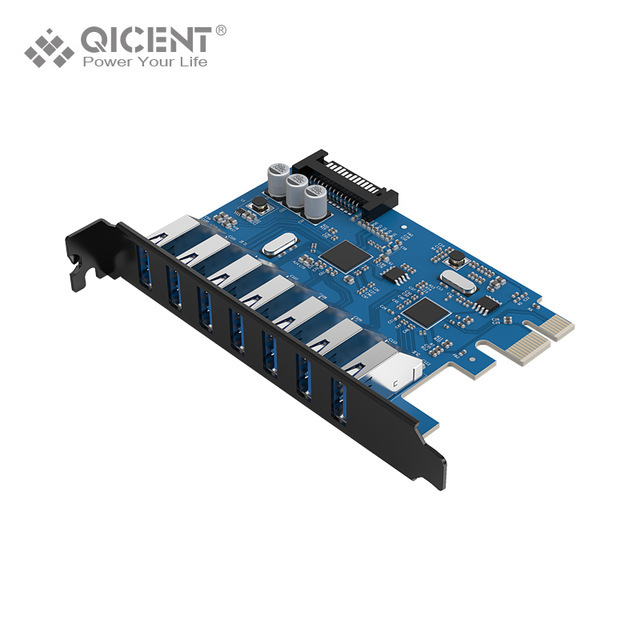 USB3.0 is the latest USB technology, boosting the transfer rate of up to 5 Gbps. 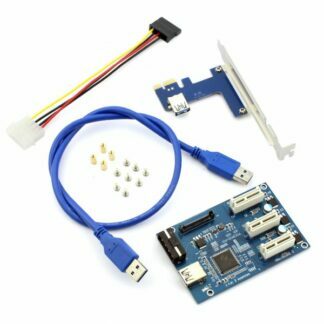 Transfer videos, music, photos, and data files between USB devices and your computer with incredible super speed.